The Stage 4 Package takes the intake/cam Package from Stage 3 and adds our celebrated 'Shorty' headers. These headers are a bolt-on to the engine and stock catalytic converters on the E36 M3. Other headers have to be used as a system with additional exhaust sections required for fitment. Our headers bolt straight on using factory gaskets and hardware and make an excellent mid-range improvement in power. 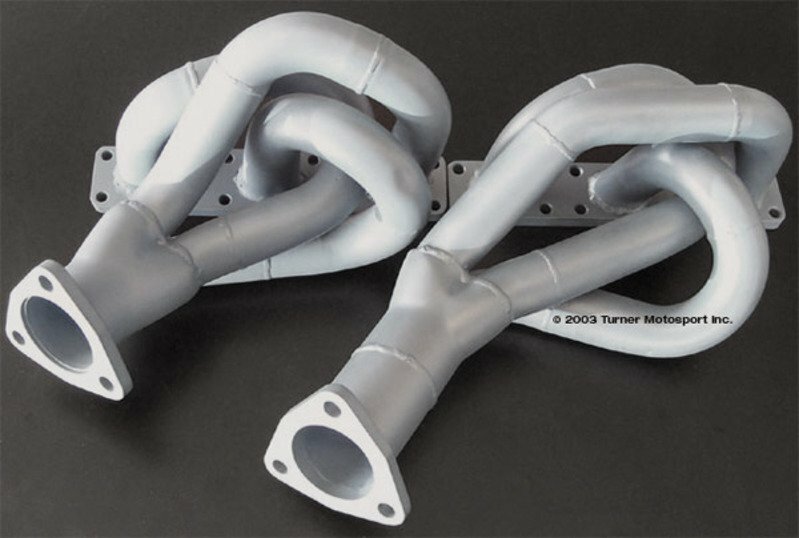 The TMS Shorty Headers are manufactured in the USA and are CARB-certified. These headers are not cheap, knock-off pieces. They are 100% T-304 stainless steel with ceramic coating. The coating and the stainless steel are crucial for the efficient flow of exhaust gas through the header. Other versions use only mild steel. We have also taken the extra step of adding ports for the secondary air system, allowing your car to remain emissions-compliant. 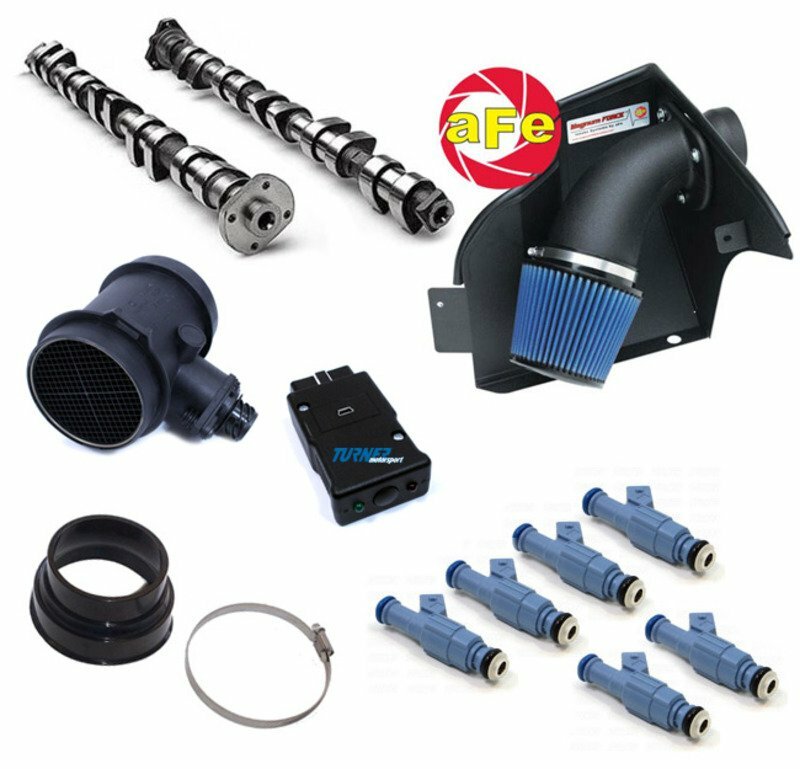 As with Stage 3, this Package includes the aFe Euro Cold-Air Intake, 24lb fuel injectors, Schrick performance camshafts, Porsche HFM, and special Stage 4 TMS Shark Injector software. This is a further refinement to Stage 3 - boosting top end horsepower while still making more torque down low. Peak power and torque is increased over Stage 3 with significant torque improvements from 5000 RPM. Underdrive Power Pulley Kit - Underdriving means each component is moving slower which requires less power. The saved horsepower is put back to the engine where it transfers to power at the wheels. Power gains are typically 10hp at the wheels. Exhaust - Borla or Corsa cat-back muffler for more performance, lighter weight, and a more-aggressive sound. Expect a gain of 5whp with either of these exhausts.